The namesake of this venue is a hot item for good reason. 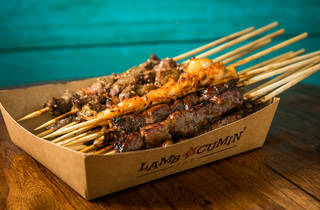 The lamb is skewered and grilled over white hot charcoal untill the caps of fat are rendered down like slices of butter in between the meat. 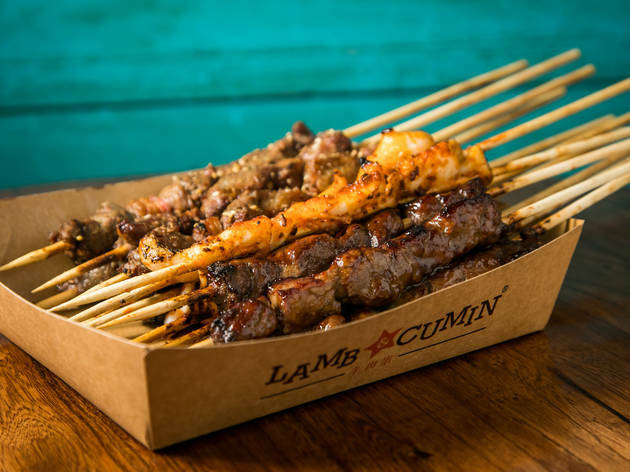 The meat ranges from crisp to juicy and comes dusted with cumin (both seeds and grounded), a gentle hum of chilli and sesame seeds. Add in rice for $2.50, or flat breads to make a meal out of it, or eat straight off the stick when you’re on-the-go.